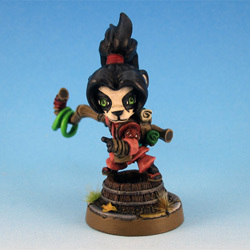 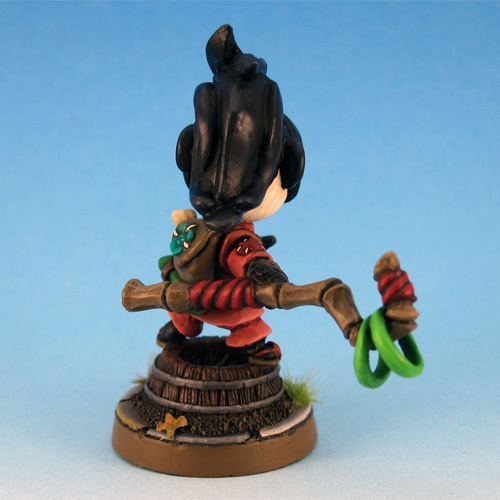 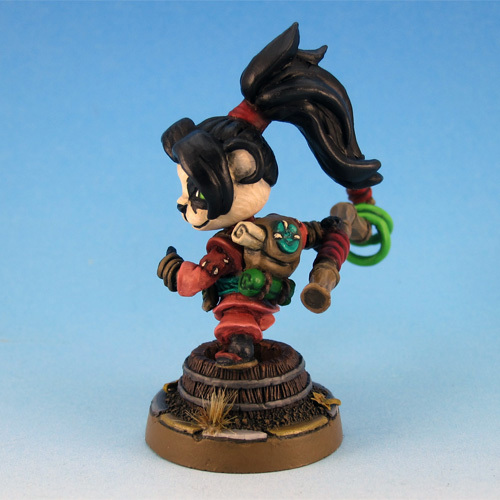 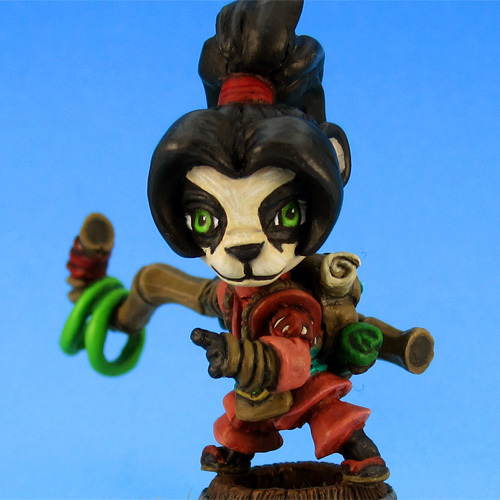 Velvet Marks was nice enough to sculpt this awesome mini of World of Warcrafts little Pandaren adventurer Li Li for me. 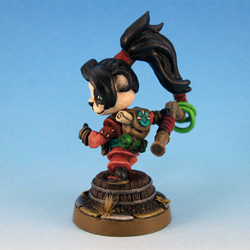 She has been painted in the same colors she can be seen wearing in game. 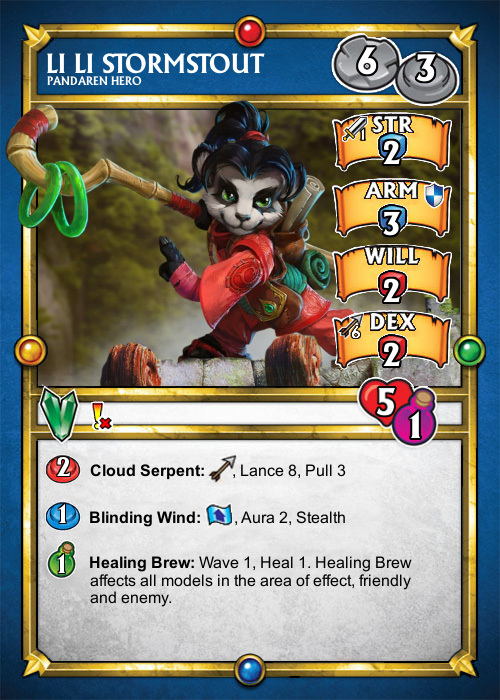 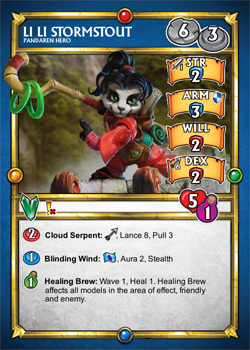 Born upon Shen-zin Su, the Wandering Isle, Li Li Stormstout led an uneventful life until she began reading her uncle Chen’s journals. 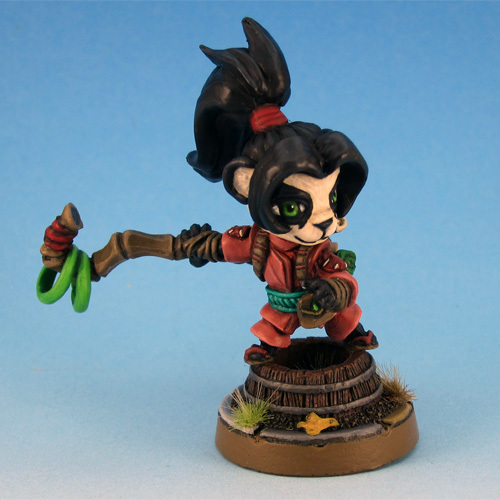 Soon, nothing would sate her desire for adventure, exploration, and pestering adventurers around Halfhill. 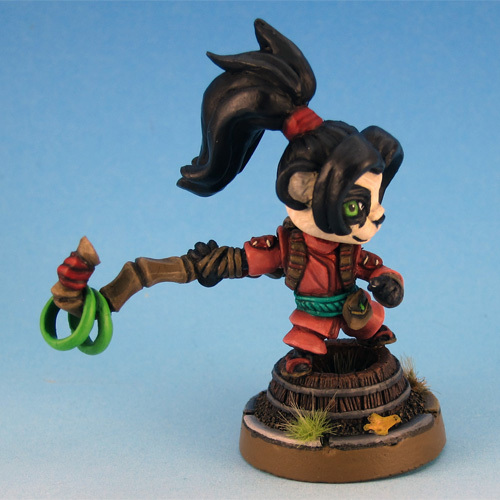 Li Li was sculped by Velvet Mark. 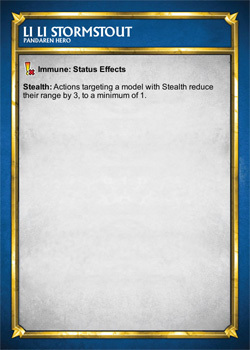 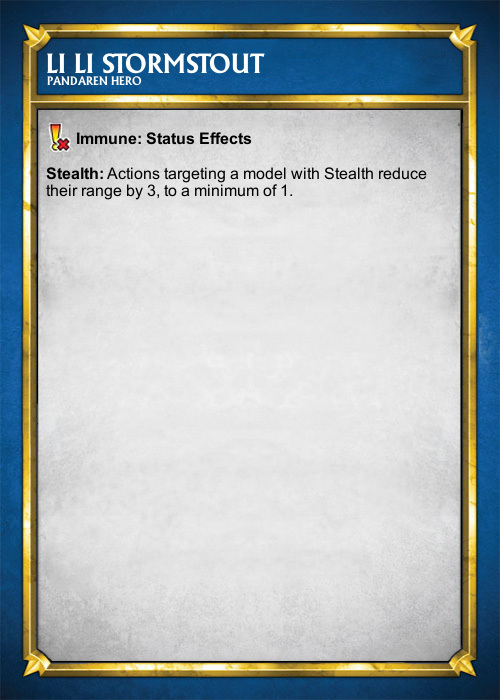 Homemade SDE cards for Li Li, based on the stats of the Hidden Shrine Infiltrator.